Swana is a low-population vacuum world, with a population of less than 10,000 sophonts in population size, warranting hazardous environment precautions. 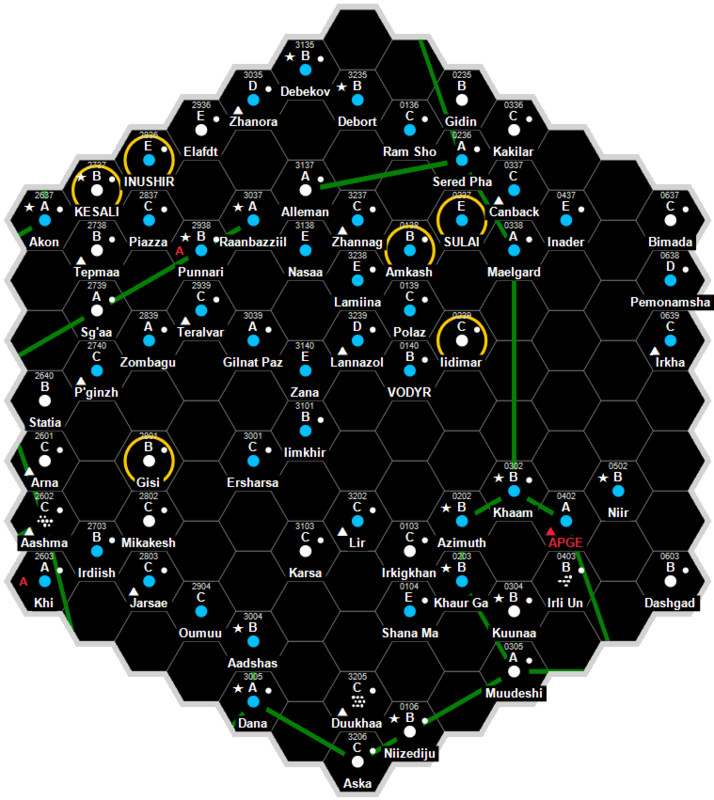 It is a Non-Aligned world dominated by human sophonts located in the Dartho Subsector of Antares Sector. Swana has a good quality starport. Swana possesses a Technology Level of TL–12 or TL-C in Hexadecimal Notation. Swana has no well-defined government structure. This page was last modified on 12 February 2018, at 19:59.